While living in a healthy world, you do not have to suffer from a lack of amazing flavors. Actually, the more amazing flavor combinations you can cram into your life, the better. Given that thought, I have started making pitchers of flavored water. 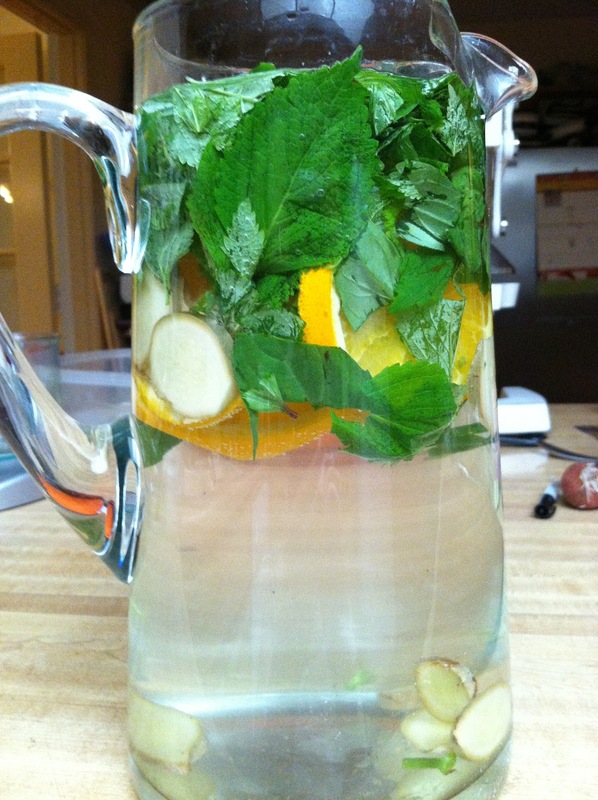 Making your own flavored water is inexpensive, easy, and quick. You throw the stuff together in five quick minutes, let it sit overnight, and then in the morning you have an amazing flavor festival! The next time you pass expensive flavored water at the store, just turn your nose up at it. It is not good for you and a waste of your money. All you need to make your own is a pitcher, water, and fruits, vegetables, herbs, and even spices. 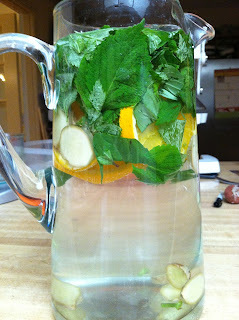 My favorite combination is mint, basil, an orange and lots of ginger. I also like apple, sticks of cinnamon, orange and star anise. The only limits on this are your imagination, but I think kale flavored water would not be my favorite. - Make sure all your fruit, veggies and herbs are washed. - Slice the veggies and fruit thin. - Add to the pitcher with the herbs and spices. - Fill the rest of the way with water. - Place in the refrigerator overnight. - Enjoy the next day. There you go! Healthy fun! !